The game of the night was played in the Peace and Friendship Stadium, in Piraeus (located within the Athens urban area) between Olympiacos and Fenerbahce. The final score was 72 – 73 for the Zeljko Obradovic’s squad. The Home team had a great opportunity to win. The last attack belonged to David Blatt’s team. First, Nigel Williams-Goss missed a two pointer, and second, Nikola Milutinov had the chance to fix everything after an offensive rebound, but the Serbian centre also missed it and allowed the guests to win. The best in Fenerbahce was the ex Olympiacos player, Kostas Sloukas. The Greek guard scored 22 points with 5 rebounds and 4 assists. His teammate Nikola Kalinic added 16 points and 4 rebounds. Melih Mahmutoglu finished the game with 12 points (4 of 7 for three pointers). In Olympiacos, Kostas Papanikolaou had a great roll. The Greek forward scored 18 points (one amazing three pointer from a difficult position), but his effort was “wasted” at the end due to the fact that the Reds lost the match. The Ex Partizan player Nigel Williams-Goss scored 13 points, Georgios Printezis added 10 (8 points in the first half), and Vassilis Spanoulis was stopped at the 8 points he scored in the first 20 minutes. The First points were scored by the home team, but the first quarter belonged to the guests. Fenerbahce scored 21, while the Reds added 18 after the first 10 minutes. In the second quarter, Olympiacos woke up and after five minutes was leading by 5 (32-27). And after that leadership the Turkish team was coming back and two minutes before the end the score was 35 – 35. And in the last two minutes, both squads scored only 4 points each one, so the result before the little break was 39 – 39. Williams-Goss, Printezis and Spanoulis scored 8 points each one for the team from Piraeus after the first 20 minutes. On the other side, Sloukas and Kalinic were on fire. The Greek guard scored 12, while the Serbian player added 10 points in the first half. At the beginning of the third quarter, Blatt’s squad took the control of the game and after six minutes were leading by 4 (47 – 43). And two minutes before the end, the home team was leading 53 – 47. But Melli scored a three pointer, and Fenerbahce managed to protect their basket in the last attack, so after 30 minutes the result was 53 – 50 for the home squad. 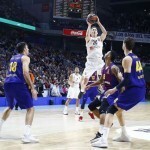 The First points in the last part of the match were scored by Kostas Papanikolaou. 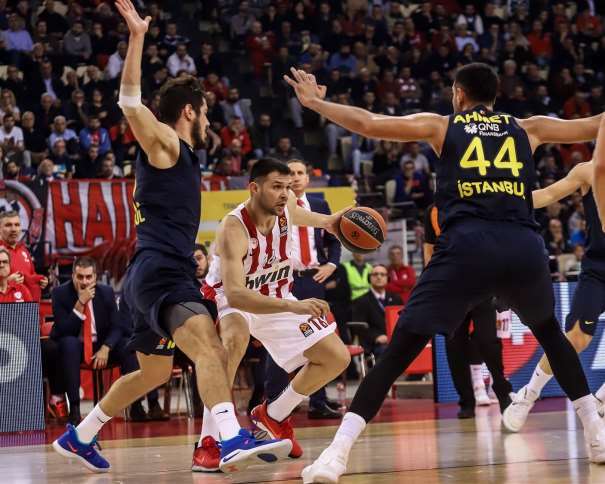 Soon after, Fener made a comeback and even the score, and with Melli’s three pointer even took the lead, but Papanikolaou returned the three pointer. Till the very end, the winner wasn’t familiar. On the 1:07 Sloukas made a three pointer for the 69 – 73 (Fenerbahce was leading). 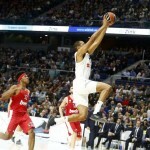 But again Papanikolaou for the three and in the last attack the home team had the Chance to score for the victory but Williams-Goss missed the shot and the team from Istanbul won 72 – 73. 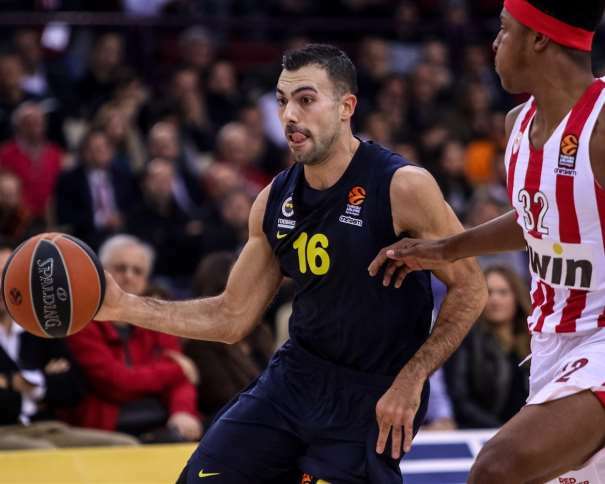 After the game, one of the best player on the court in Fenerbahce squad, Nikola Kalinic, said that he was happy for his team win in such a difficult game. “This was a really tough game. It is well-known how difficult can be playing in here and especially win here. We are really satisfied and happy for this huge win, especially because our schedule after will be very demanding, from six games five will be with very difficult opponents. And this win is even more important because of that. I can’t say we played beautiful game tonight, but it was a fiscally difficult, real men’s game. We celebrated here without Jan Vesely (one of the key players in Fenerbahce), whose son was born. We showed that we can face everything and everyone”, said Kalinic who mentioned that in these kind of games, when the winner is unknown till the very end, the victory is more special. “I have to quote Muta Nikolic (assistant coach of the Serbian national team), who said ‘It is sweeter to win with one point difference’. I don’t know, it is more beautiful to win in these kind of games, not when it’s too easy. We are more relaxed when we play in the games with bigger difference but these games are really special. But, you know, it is difficult to score an easy victory against anyone in Euroleague. All previous rounds showed us that. But, if I can choose, I would like us to win in more games like this”. As it was mentioned before, Kalinic had a great night, but in this season everyone could also see that he has an excellent communication with the coach Obradovic. “We are working together for a long time, this is our fourth season together. We already started to understand each other without a word, to communicate better and he trusts in me. About tonight’s roll, I am not completely satisfied with my game. In the end I made some mistakes, when Papanikolaou made that shot. It was difficult, good for him, and after that I missed three points shot. I was disappointed but you forget it after the victory. I remember, so… And again, I have to emphasize good communication with a coach. He trusts us, we trust him, and that is important. Everything is where it should be“. At the end of November and the beginning of December, Serbia will face Israel and, after, Greece in the new qualifying window for the World Cup 2019 in China, and all Euroleague players will be in a difficult situation. “Well, it is too bad FIBA put this schedule for national teams game. During this window Spanish team is playing against Turkey and Spanish clubs will face Turkish in EuroLeague in the same time. It will be interesting to watch. I have already talked about it, basketball is loosing this way. In this quarrel, it looks like we are not acting as a professionals. But EuroLeague players need to choose theirs clubs. Look at my situation. I came back from the injury, everyone in Fener were full of understanding about my situation, so I have to be with my club. 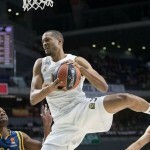 Not just me, I think if not all, but most of EuroLeague players will skip this window. It is a bad timing. But anyway, Serbia with or without players from EuroLeague can and must give our best. Everyone knows Serbia, and our expectation, so who ever will play for our national team will give their best”, said the Serbian and Fenerbahce Small forward – Power forward.